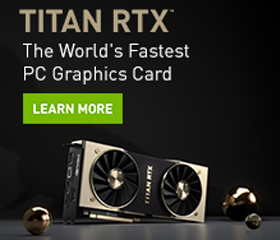 Win a NVIDIA RTX TITAN GPU! Today NVIDIA announced a partnership with Microsoft and Epic Games on the DXR Spotlight contest. 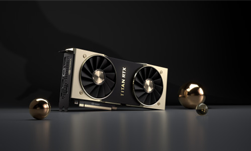 We’re looking for game developers and content creators to create tech demos in Unreal Engine 4.22 featuring Microsoft DirectX 12 and DirectX Raytracing for a chance to win NVIDIA RTX TITAN GPUs. Microsoft DirectX 12 and DXR , and the GeForce RTX platform bring real-time ray tracing to games for the first time ever. Ray tracing has been considered the holy grail of computer graphics, simulating the physical behavior of light to bring real-time, cinematic-quality rendering to games like never before. We want to see just how creative you can be with Microsoft DirectX 12 and DXR. We’re asking content creators/developers to use real-time ray traced reflections, shadows, and/or global illumination in their tech demos. We want to see just how creative you can be with Microsoft DXR! Content creators and/or developers will be asked to integrate either real-time ray traced reflections, global illumination, and/or shadows into their tech demo. Winners will be selected based on their use of the above, along with how they utilized Microsoft® DirectX® 12 and DXR in their tech demo. Content creators and/or developers will be required to list pre-existing assets that were not made during the submission period. Content creators and/or developers will be asked to provide a brief description of how they used Microsoft® DirectX® 12 and DXR and real-time ray traced reflections, global illumination, and/or shadows in their tech demo. Content creators and/or developers will be asked how and why Microsoft® DirectX® 12 and DXR and real-time ray traced reflections, global illumination, and/or shadows has changed their development process.